A while ago I read an article about shaving with olive oil and it blew my mind. The article said that shaving with olive oil will give me a closer shave, is better for my skin, is less messy and is cheaper. My initial thought was “yeah right, olive oil is for cooking, not for shaving”. I dismissed the idea completely and forgot about it. Two days later I was shaving and had a bad experience. Not only did I cut myself in a few places but I made a mess – shaving cream was all over the bathroom counter. Frustrated, I began to question if there was a better way to shave. Up to this point I’ve always shaved with shaving cream. It’s at this moment that I remembered the olive oil article. I was intrigued and decided I had to dig deeper for more information. What I learnt was truly eye opening and has changed my outlook on shaving. Below is a summary of what I learnt. Perhaps it too will open your eyes, just like it opened mine. Shaving cream, despite being so convenient, is not our friend. 1. It’s full of toxins. Our skin is a large and porous organ. Anything absorbed through our skin goes directly into our blood stream. It might surprise you to know that the FDA doesn’t regulate cosmetics. Unregulated, companies producing personal-care products will often will forgo natural ingredients to increase their margins. When was the last time you looked at the ingredients list on your can of shaving cream? A majority of popular shaving creams have a fistful of toxic ingredients, including phthalates, parfum and triethanolamine. Some cheaper brands go as far to also include parabens and sodium lauryl sulfate (SLS)! 1. Phthalates: can disrupt the functioning of hormones, which can harm important balances throughout the entire body, including those impacting the immune system and brain. 2. Parfum (fragrance): Parfum is a made up from as many as 3,000 chemicals and can be associated with neurotoxicity and cancer. 3. Triethanolamine: a skin and respiratory toxicant. Studies have shown it can cause bladder and liver cancer. 4. Parabens & SLS: increase the risk of breast cancer in women and can cause cell mutation that leads to cancer. The good news is that some of these toxins do not bio-accumulate – your body is capable of flushing out poisons from your system. 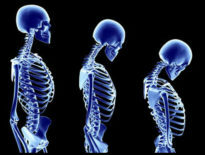 Steady exposure to these toxins in the long run, however, means your body might have trouble keeping up the fight. 2. It weakens our skin. There’s a fantastic article by Jeffrey A. Tucker called ‘The Shaving Cream Racket’ that explains this perfectly. Using shaving cream for a long time weakens the pores and makes the top layer of our skin unresponsive. We have been conditioned to believe that we need shaving cream not to cut our skin. But when we do use it something strange starts to happen. Red lumps appear. The shaved skin comes to feel sort of strange, oddly sensitive to temperature changes and ever more vulnerable to being sliced and diced. People think: oh I need a new razor! So they go out and buy ever more fancy brands, with multiple blades, pivoting heads and strange lubricants. Shaving cream is destroying your skin, turning it into a whining, pathetic, dependent, beaten, insipid layer of pasty pulp. There are many attempts to avoid red lumps along the way. People try aftershave, more and more and more of it. Pretty soon, they are tossing handfuls of the stuff on their skin, putting alcohol all over tenderized and sliced up skin. Then they become attached to that too. But it is not enough. The redness and pain are still there. The core problem is shaving cream itself, and the solution is a radical one: throw it out and never buy it again. If shaving cream is so bad, what’s the alternative? All her life she took care of her skin with olive oil. The largest organ in our body is our skin, and it requires care by way of moisture. 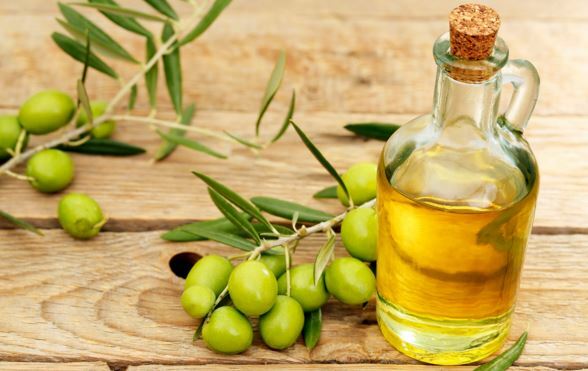 It turns out that the best natural moisturizer, one that has been used for thousands of years, is olive oil. One of the most profound benefits of this oil is how quickly and easily it softens dry skin. Part of the reason why is because it’s a “humectant” which means that it draws moisture into our skin. If Jeanne Calment (who lived to 122 years of age) used it to take care of her skin, there must be some benefit to it, right? I poured a couple of teaspoons into a little bowl and used the oil for my first shave. It’s important to make sure you use a quality oil. Some are blends of many different ‘bottom of the barrel’ oils. These are not good for you and in turn not good for your skin. 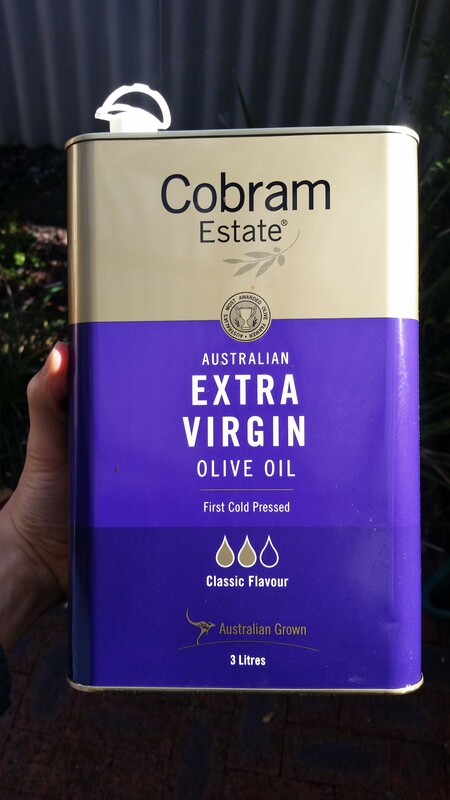 Here is a good article outlining what you should look for when choosing an oil. 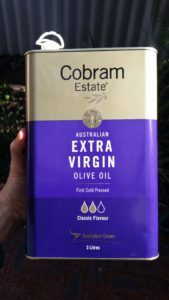 Whilst ordinary olive oil worked beyond my expectations, I wasn’t a fan of the scent. 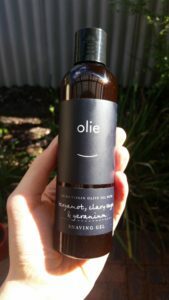 The gel is from a brand called Olieve & Olie and is hand made from all natural ingredients. I’m not going to lie, compared to regular oil, this gel smells fresh and floral. When I first tried shaving with olive oil I was shocked how easy it was to do. Extra virgin olive oil or an olive oil based shaving gel. First I had a hot shower to soften my skin and facial hair. Then while my face and hands were still wet*, I rubbed in 4 or 5 drops of the oil into my skin. I was ready to shave. It felt weird at first, because I was used to lathering up my face and then shaving nice lines through shaving cream. Now, my face looked bare, and I was shaving through nothing. I was worried that I would cut myself multiple times. However, to my surprise, the razor glided smoothly I didn’t feel any skin irritation. Afterwards I didn’t have to wash my face which was a first for me. All I had to do was wipe off a few hairs from my face. The olive oil soaked into my skin so I felt that my face was well moisturised. All up it took me 3 minutes to shave and one minute to rinse my razor and pack up. Best of all, not a single cut and no mess. *I’ve experimented with applying the oil to dry skin and wet skin and found wet skin to offer a smoother shave. A large bottle of olive oil dedicated to shaving will last you a full year. This will save you a hell of a lot of money compared to buying numerous cans of shaving cream each year. Olive oil is rich in antioxidants and vitamin E.
This not only provides anti-aging benefits but help restore skin smoothness. In addition, it doesn’t clog your pores as it penetrates deeply into your skin while providing a cleansing effect. Shaving with olive oil is faster and so much cleaner. The only mess is the mess you make from rinsing your hands and razor. As a bonus: I don’t even need to use aftershave (more money saved) – the oil leaves my skin feeling adequately moisturised. Despite the numerous benefits of olive oil, it come with a few downsides too. It clogs up the razor blades with oily clumps of hair. This is no big deal but a bit of a pain to clean, especially if you have a lot of facial hair to shave. If you have naturally oily skin then olive oil is not a good idea. Oils don’t mix and the olive oil won’t be absorbed like it should. It may cause more acne to develop if you already suffer from acne on your face. If you’re looking for a quick, easy and mess free way to shave that will reinvigorate your skin then try shaving with olive oil for a week. Best case scenario: you save a lot of money, improve your skin and free yourself from shaving cream dependency for life! If you truly cannot see yourself even trying olive oil, that’s perfectly fine. A perfectly good alternative is to get a quality shaving cream (not found on the shelf of a store). One that doesn’t contain any of the nasty additives listed above but still gives you a smooth shave. I recommend: The Art of Shaving Shaving Cream (sandalwood). Not only does it smell amazing but it’s silky smooth, creates a great lather and a small amount goes a long way!